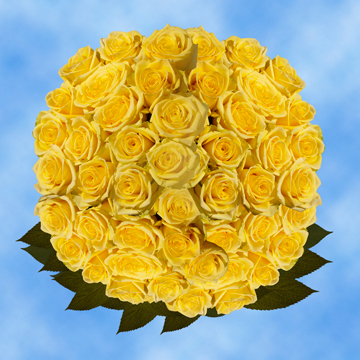 Golden Bulk Yellow Roses are ideal for all types of florets for weddings, birthday parties, graduation celebrations, Mother's Day and more. 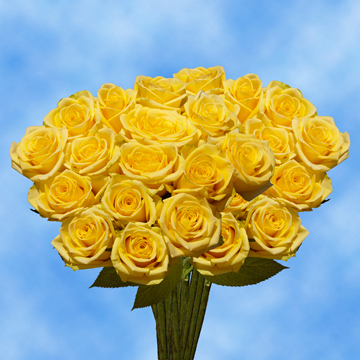 Consider the delight in store with these bright beauties so full of radiance it is like bringing the rays of the sun right into your abode, party venue, or ceremony. They come with a free delivery to boot, so does not get any better than this! So whatever you may be planning, these buds make phenomenal Mother's Day, Valentine's Day, or for when it's just because gifts. 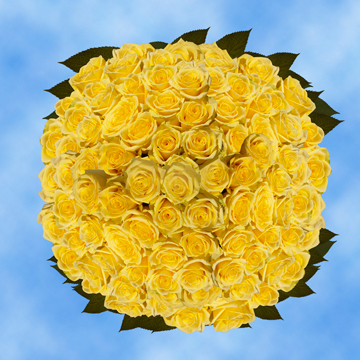 Fresh cut blossoms can be the center of a party most instantly and are sure to be quite a hit as they set the stage for wonder and galore. 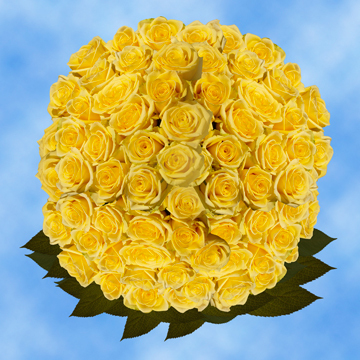 If you love yellow buds, why not buy them in bulk for the best price out there, and we guarantee you cannot find a better price out there, less we shall match their offer apples to apples. 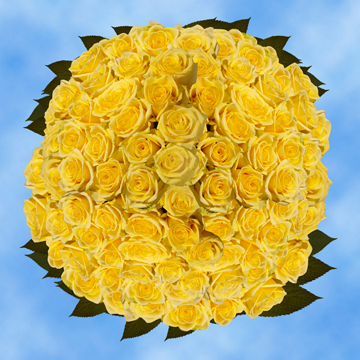 The luscious petals provide a cascading fantasy of rosy decadence, these blooms are reminiscent of Dorothy and the Wizard of Oz, follow the yellow brick road to better days with these Bulk Yellow Roses. Frowns cannot compete with the sunshine of these blossoms, their happy disposition is contagious and will make everyone surrender to them. Delightful in every respect, you are sure to be in for quite the surprise. 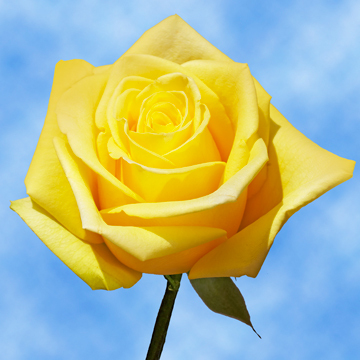 Your orders are grown under watchful eyes in the best of environments that are highly regulated so that they are tended to robust perfection in our state of the art greenhouses. Experts pick and cut your order just for you and delivery is careful and quick so that not a moment has to go by wasted.